I have always felt that there was much more to the small parish of Hanover than meets the eye. I went along to the Institute of Jamaica (IOJ) recently for an event named Salute to the Parish of Hanover, and I discovered that I was right. We in the audience (I wish the beautiful IOJ Lecture Hall had been completely full) got quite a basinful of facts, figures, cultural stimulation, and a dash of controversy. Besides, there were lovely displays of native orchids loaned by Ancile Gloudon, and special exhibits of insects (and a “duppy bat”) provided by the Natural History Museum of Jamaica. It was all thoughtfully and cleverly assembled, involving as many Hanover natives as possible. After the rhythms of Ettu dance had rattled across the theatre, and after the informative, humorous and generally positive comments about Hanover (although the parish capital of Lucea got the thumbs down), we listened to the main address by Mr Justice the Hon. Seymour Panton, C.D., O.J. 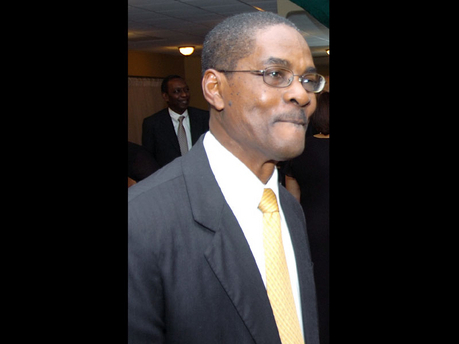 Justice Panton is the Retired President of the Court of Appeal, and he has held other judicial positions in both Jamaica and the Cayman Islands. Now, Justice Panton started off – perhaps as expected – by telling us some family history and touching on lovely childhood memories, visions of what we often call “simpler days.” We sighed nostalgically, imagining the distinguished judge as a barefoot schoolboy, dawdling along the beach on his way to school. Then Justice Panton took off on another tack altogether, taking some of us by surprise. His address took a somewhat political turn. We sat up and took notice. From his lament over the current state of neglect of the town of Lucea (“my heart pains me,” he declared) our speaker moved on to another matter that has also troubled his spirit for quite some time. He suggested that Jamaica is not, in fact, independent, so long as Queen Elizabeth II has the last word. In fact, Independence is a “myth,” Justice Panton declared, beginning to warm to his subject. He described the role of Jamaican politicians as people whom the monarch has “delegated…to take the blame” when things don’t work out so well. His turn of phrase was eloquent but no less biting for it, and his passion was undeniable. 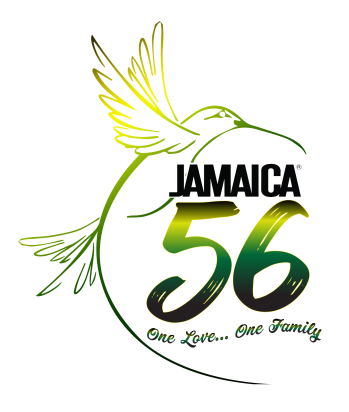 “One Love…One Family.” What does this slogan mean, in the context of Jamaica’s Independence? Is Jamaica really “independent”? 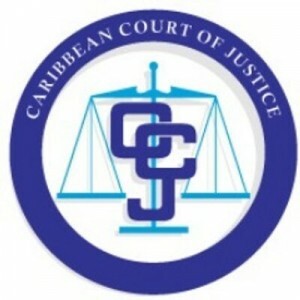 This was all in the context of the Caribbean Court of Justice (CCJ), which Jamaica has not acceded to, despite being one of the original twelve signatories on its founding in 2005. Norman Manley and Sir Alexander Bustamante would never have expected this to happen, suggested Justice Panton, more than half a century after Jamaica’s Independence. In fact, they must be “bathing National Heroes Park with their tears,” he said. What a disappointment! Why, even some recent political leaders have turned their backs on the concept of a Caribbean court of appeal – or are quite indifferent to it. Indeed, as I wrote in a recent article, the citizens of both Grenada and Antigua/Barbuda recently voted to retain the UK Privy Council in referendums. There is little appetite, little interest among Caribbean people for their own indigenous Court of Appeal. It seems Caribbean leaders, who tend to follow their people rather than lead them, are not particularly interested either. In fact, after Grenadians rejected the CCJ for the second time recently, their Prime Minister observed that they are not going to revisit the matter any time in the near future. Here in Jamaica, it is simply not a big issue. When he put it this way (and of course, it has been said before, in so many ways) there is no logic or sense to it, at all. Is there? And yet most of the English-speaking Caribbean remains ambivalent – at best – about the CCJ. Only Barbados, Belize, Dominica and Guyana use the regional court for both civil and criminal matters. In fact, the CCJ recently ruled on a very interesting case in Guyana, overturning an archaic 19th-century law on cross-dressing, after four transgender women appealed a 2009 conviction. The judgment is well worth reading. “Difference is as natural as breathing,” noted the Caribbean judges. Nicely done. I congratulate the Institute on its efforts to educate the Jamaican public on different parts of the island, each with their own unique history and culture. I understand there has been a similar focus on the parish of Westmoreland in the past. It would be a marvellous idea to document all these personal reminiscences, small detailed facts and historical records, with one book for each parish. You are most welcome, Ian. This is great. I just actually posted the entire speech by Justice Panton on my Petchary blog. I enjoyed it, because it was not repetitive, but wide-ranging. I will also post Dr. Stair’s speech. Very interesting, nuff respect to judge Panton for speaking the truth as he see’s it because i agree with him. Yes! I do understand some of the reasons why there is this reluctance to embrace the CCJ – but I do agree with him too, in theory. The expenses of the Court are covered by a trust fund made up of contributions from CARICOM Member States, through loans from the Caribbean Development Bank (CDB). I’m trying to find out the cost for each state. It’s time this is put to the people of Jamaica so that they are clear about this. It’s high time this so called independence celebration ends!!! All that money spent where it can be out to better use. The politicians should come clean about this!!! We have been conned for too long. The history education is a lie, everything is a lie. This has been the foundation on which we have suckled on. I know how this gas affected my family. It’s all so ridiculous, isn’t it? But unless people make a real fuss, nothing will happen with the “same old, same old”… Sigh! I agree that this independence thing is ridiculous and a sham for so long.. Lets get it straight and corrected now. Fire the Queen and let she pay back all money received from Jamaica since1962 with interest. The role of the Governor General must be terminated. The supreme court must handle all issues. Govt, must set a permanent date for all general elections and there should be a term limit for Prime Ministers.The Government and all concerned should have jamaica properly titled. I agree…and also note that the Caribbean Court of Justice has been well used by those countries that have adopted it. There have been some interesting decisions too.